Reykjavik is a young city with many buildings from recent decades but also buildings throughout the 20th century. 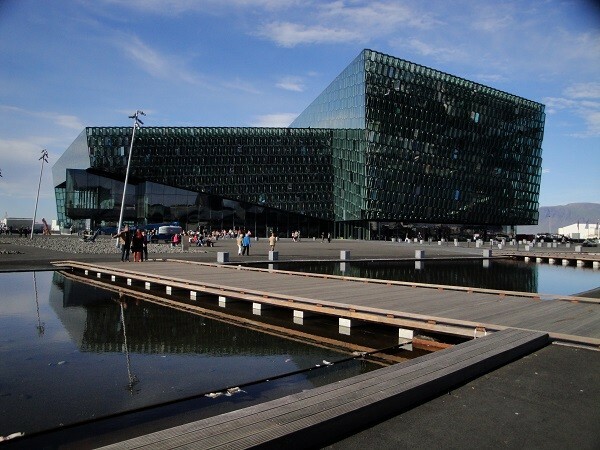 During the tour we will see some of the main landmarks in Reykjavik and see some of the best known buildings. We will definitely get acquainted with some of the biggest names in the world of architecture and planning in Iceland. During the tour we walk to the main landmarks in the centre of Reykjavik. We explore the old centre of Reykjavik and hear about the history of the city, see the old harbor, walk into music hall Harpa with its fantastic expertior and interior plus the great acoustics - you will even have a chance to buy tickets if you would like to attend a concert during your stay. We will walk along the main shopping street Laugavegur, visit the big church on the hill Hallgrimskirkja and go into church Landakotskirkja, we will be passing the parlamentary building of Alþingi, the wonderful pond with all the birds swimming around and then of course we will be going to some of the main squares in Reykjavik, Austurvöllur, Ingólfstorg and Lækjartorg. More if time permits. If you want to go to Perlan viewing platform to walk around the building with a 360°view all around the city then the price is different because a vehicle is needed for a driving tour. There is a glacier exhibition in Perlan nowadays, admission is ISK 3000 per person, ISK 500 per person if you only want to go to the viewing platform. This is a walking tour with pick-up at your hotel in Reykjavik centre. 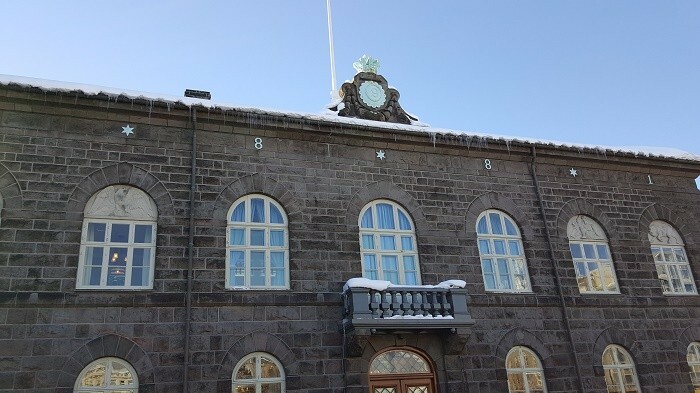 The tour can be converted into a great Reykjavik city sightseeing tour by car for up to nine persons or even bus for a bigger group at different price. Please email me for quotes. Rocky main building of the parlament in Reykjavik. 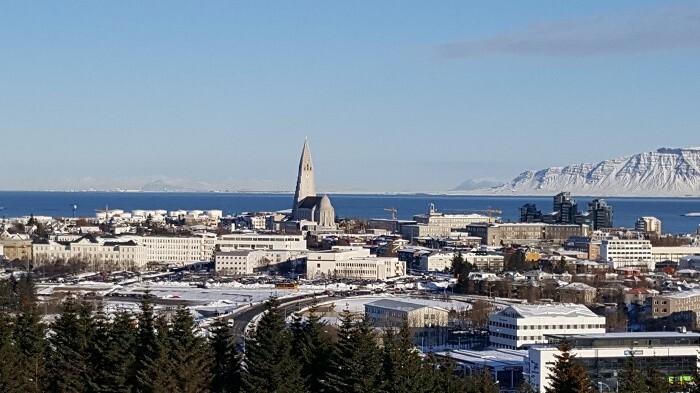 View over Reykjavik city at winter. Concert and Opera Hall Harpa.